Profitez de la vue imprenable sur la montagne Vail dans cette unité de luxe située dans le village de Vail où vous êtes à quelques pas du célèbre centre commercial de Vail et des remontées mécaniques Gondola One et Golden Peak (350 yards). Cette unité spacieuse dispose finitions haut de gamme tout au long et offre une belle suite parentale et une salle de bains de maître avec une baignoire jacuzzi, une douche à vapeur, deux lavabos et un plancher chauffant. La belle cuisine en granit est entièrement équipée avec des appareils haut de gamme. Vous pourrez vous détendre et profiter des vues incroyables de Vail Mountain et Gore Creek sur notre patio walk-out privée avec baignoire et une cheminée à gaz chaud personnelle. Notre unité offre également une place de parking attribué dans un garage privé souterrain chauffé, une salle de casier à skis, un hall d'accueil ascenseur semi-privé, et des équipements communs comprennent une piscine extérieure chauffée et jacuzzi. Vous aurez la combinaison parfaite de luxe, d'intimité, de confort et de commodité lors de votre séjour. We loved our stay in this condo. Astrid was very responsive and we were well informed about our stay. The spacious condo was very clean, had comfortable furniture and cozy throw blankets for lounging and watching movies at night. The bed was very comfortable and we had plenty of blankets and pillows. The kitchen was very well appointed with high end appliances and cookware. The bathrooms were luxurious with plenty of towels, robes for our use, and great storage in the master bath for clothing. We enjoyed looking at the snow covered mountains from the private hot tub after a day on the slopes . The condo and area is very quiet and private but within walking distance to restaurants and shops. Although there is a ski locker in the garage we stored our equipment (and had our boots dried over night) at the base of the hill. That way we didn't have to walk around in ski boots or carry our equipment each day. We would not hesitate to rent this condo again. Very comfortable condo with all the amenities. 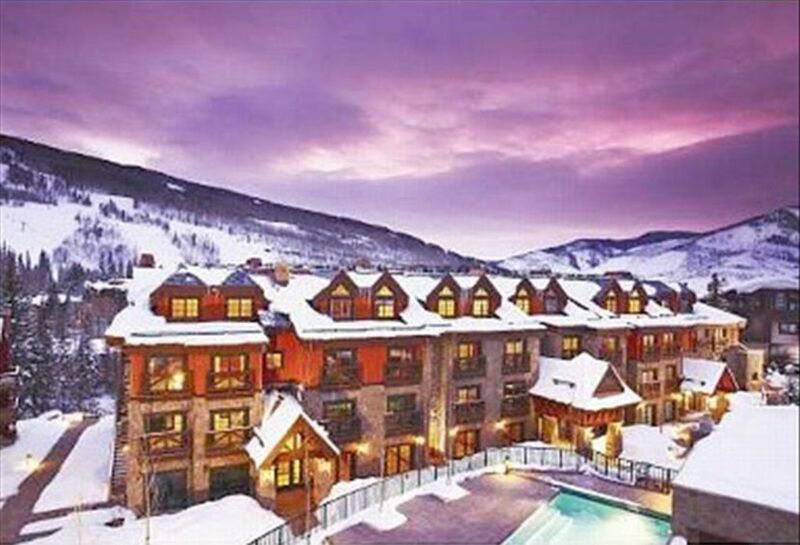 Private indoor parking space, convenient ski storage and short walk to Gondola One. Super convenient location with easy walk to lifts and dinner. Very easy parking. Very tidy. Luxurious. Hot tub with a view of the creek. In house laundry was very convenient. Owner was readily available and so helpful when I left some items in the condo. We really enjoyed our stay! The condo was conveniently located and the amenities including the private hot tub, heated bathroom floors, spacious kitchen, ski locker, and garage parking were awesome. Astrid was very responsive and accommodating, we look forward to returning! We loved the condo. Great location, beautiful deck on the first floor with a small yard overlooking a mountain stream and distant mountains. Very responsive owner. Property was clean, properly furnished and in a great location. My wife and 2 kids (8 and 11) had plenty of room. Loved the patio with fire place and hot tub. Gore Creek is right outside your door. You do not get a full view of the river due to the landscaping but this did not take away from the experience. Easy walk (5 min) to Vail village and about 15 min walk to Lionshead. I would not hesitate to stay again.